Urbana City Schools recently submitted to the city of Urbana a preliminary site plan for the construction of a pre-kindergarten through eighth-grade school building on district-owned property north of Community Drive near the Champaign YMCA. The plan calls for Community Drive and Boyce Street to both be extended to the property. Pictured is the current ending point of Boyce Street near the Urbana City Schools Athletic Complex. In response to the supplemental conditions outlined in the conditional use permit granted by the Urbana Board of Zoning Appeals (BZA) last month to Urbana City Schools for the construction of a pre-kindergarten through eighth-grade school building near the Champaign Family YMCA on Community Drive, Urbana City Council on Tuesday heard the first reading of a resolution designed to help facilitate communication between the city and school district. “In response to the conditions, we put together a resolution to bring before council that will allow me to work with the superintendent of the school to try to come to an agreement on mutually agreeable infrastructure that will be brought back (to council) for final approval,” Director of Administration Kerry Brugger said. The supplemental conditions attached by the BZA to the conditional use permit call for the school district to conform to city engineering standards for the construction of all publicly dedicated infrastructure, to continue working with the city to minimize the project’s impact, and to develop an agreement with the city for the joint construction or management of public work, utility or improvement. This agreement requires approval of council and the Urbana City Schools Board of Education. Brugger informed council the city is reviewing the school district’s preliminary site plan, which was submitted to the city on Friday. “Our hope is to get comments back (to the school district) before they bring the final site plan to the Oct. 26 planning commission (meeting),” Brugger said. Council members Al Evans, Tony Pena and Pat Thackery all stated they have received calls from numerous residents concerned about the proposed Boyce Street extension and what the increase in traffic means for residents living in the immediate area. Brugger said residents who wish to have their concerns over the proposed site plan heard can do so by attending the next Urbana Planning Commission meeting when a review of the district’s final site plan is expected to take place. The meeting will be held at 6 p.m. on Oct.26 in the municipal building’s fire training room. The plan, Crabill said, calls for Community Drive to be used by parents, students and service vehicles, while the Boyce Street drive would be for buses and faculty only. Both entrances will have parking lots, but the plan calls for the two lots to be separate to discourage people from using Boyce Street. “It’s separated in such a way that it’s only allowed to be crossed over for emergency access,” Crabill said. Crabill added traffic study data available to the city indicates what the increased traffic impact could have on Boyce Street with the predominant traffic impact being felt on Community Drive. “The district has agreed to install a traffic signal at that intersection (East U.S. Route 36 and Community Drive), however, that traffic light will not operate 24/7,” he said, noting the traffic signal will operate during peak times (student arrival and dismissal). 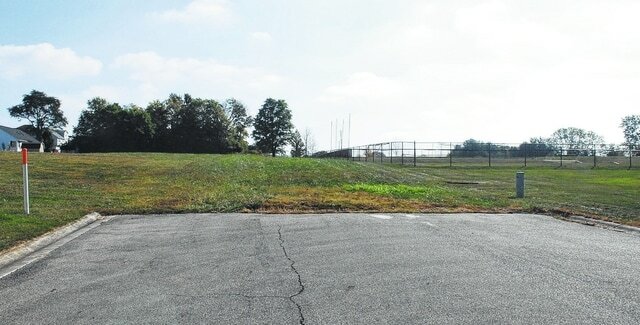 https://www.urbanacitizen.com/wp-content/uploads/sites/36/2015/10/web1_Boyce-Street-2.jpgUrbana City Schools recently submitted to the city of Urbana a preliminary site plan for the construction of a pre-kindergarten through eighth-grade school building on district-owned property north of Community Drive near the Champaign YMCA. The plan calls for Community Drive and Boyce Street to both be extended to the property. Pictured is the current ending point of Boyce Street near the Urbana City Schools Athletic Complex.